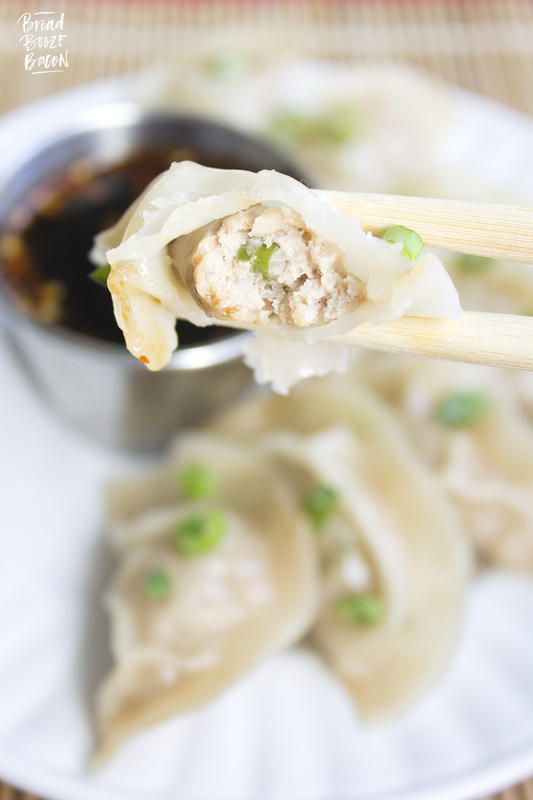 Jiaozi | Pork Dumplings are crazy easy to make and just as good as getting take out! Make a bunch and freeze some for later! We love ordering Chinese food. It’s a sometime treat around the house, but when we order take out we go big! Chow mein, crab rangoon, chicken, beef, rice, egg rolls. YUM! We all take a little of everything and chow down. Eating family style is always fun. Every now and I get a get a little adventurous and decide to make Chinese food at home. My last foray into Orange Chicken was a success so I had full confidence when I decided to take on Shao Mai. 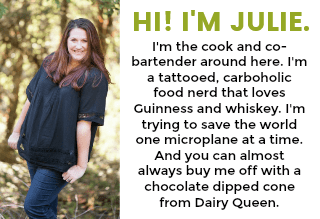 Now I’m sure you’re saying, “Julie! That’s not the name of this recipe.” You’re right. This is a different style of dumpling, but I used the same filling. My original plan didn’t work out so how and we roll with the punches around here. The back story. Two years ago I went to a blog conference in Las Vegas.While there, we were taken to the Le Cordon Bleu academy for a day of tasting stations, student presentations, wine, and meeting the teaching chefs. It was a blast. The food was delicious and the cooking demos were great! There were 8 rooms, each with a different food theme. My favorite room was the Chinese dim sum. SO GOOD! Shrimp toasts, Shao Mai, and about 5 other little dumplings and bites I didn’t want to stop eating. We totally lucked out and each room had recipe cards for a few for the dishes being served. Our crazy popular Salted Butter Rum Caramels are from this trip too. Traditionally shao mai are open top, purse like dumplings. I had a hell of a time getting a decent amount of filling into my wonton wrappers, so I reconfigured things and made jiaozi instead. 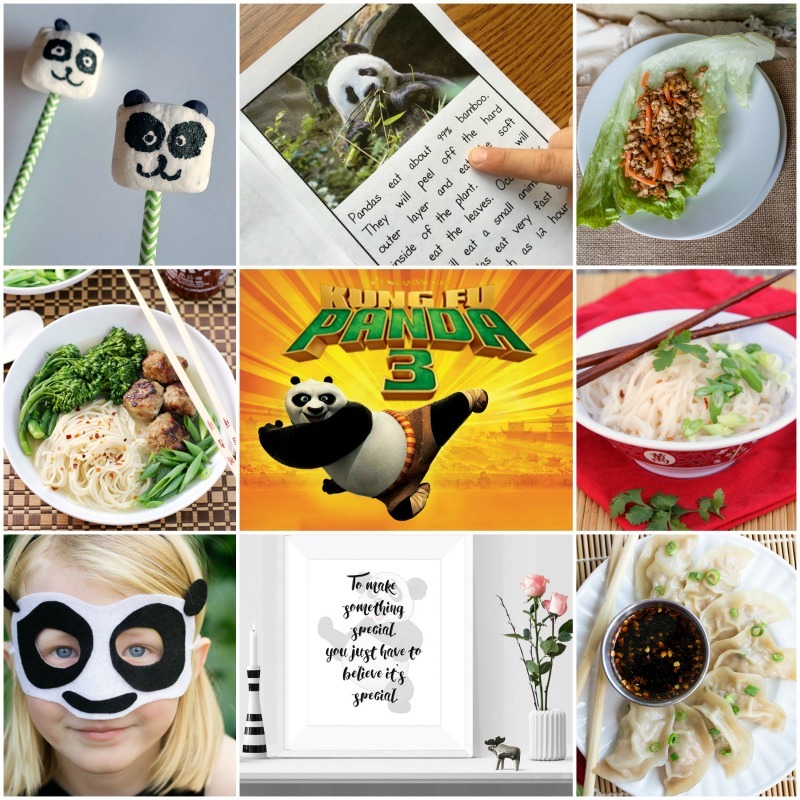 (All these names describe the style of dumpling, and fillings vary.) Now if you’re thinking these look like potstickers, you’re not wrong. The shape is very similar, but there’s no crimping and these little babies are steamed instead of pan satueed. 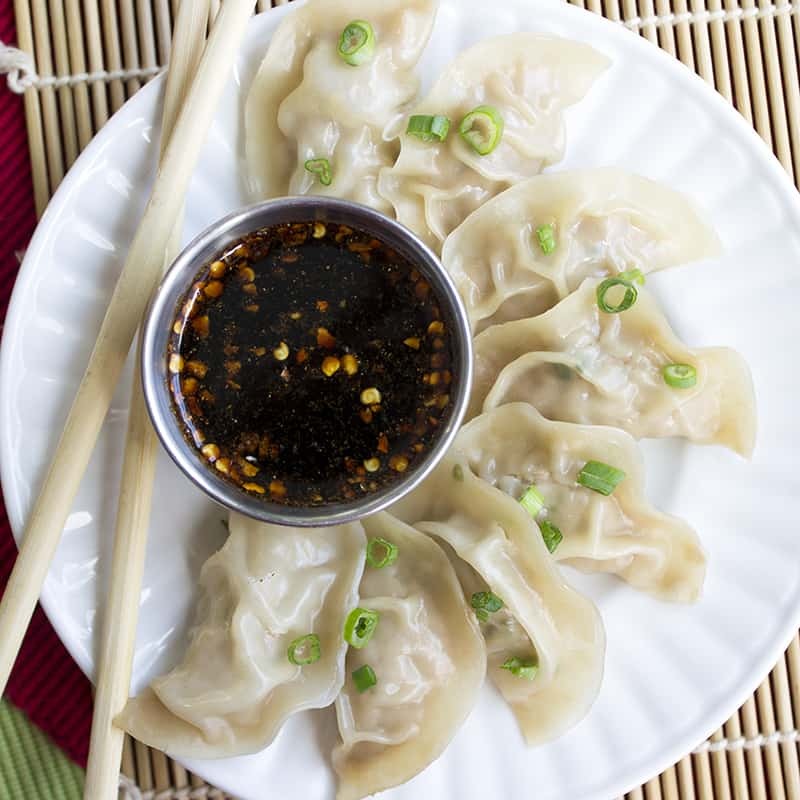 I am totally making potstickers the next time I make a batch of these though. YUM! Ninja Star Pizza Wontons from Home.Made.Interest. In a medium mixing bowl, use your hands the evenly combine the pork, water chestnuts, green onion, soy sauce, rice vinegar, sugar, ginger, cornstarch, salt, and pepper. Scoop 1 to 1 1/2 teaspoons of the pork mixture onto the wonton circles (placing the filling to one side of the wonton, not in the center). 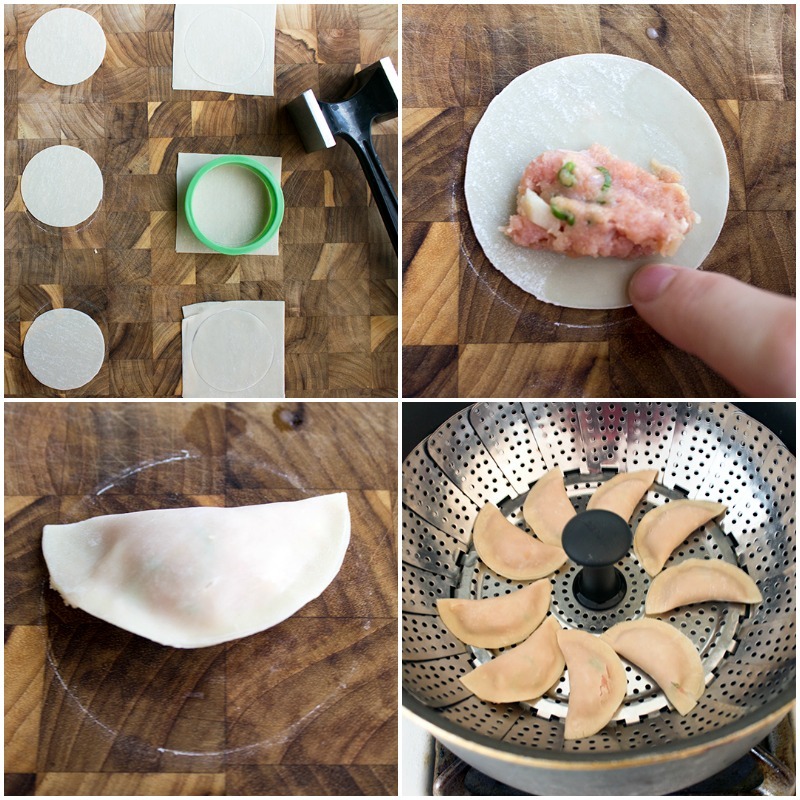 Dip your finger tip in some water and run it around the edge of one wonton to moisten it. Fold the wonton edges together, over the filling, to create a half circle. Use your finger tips to seal the edges together. 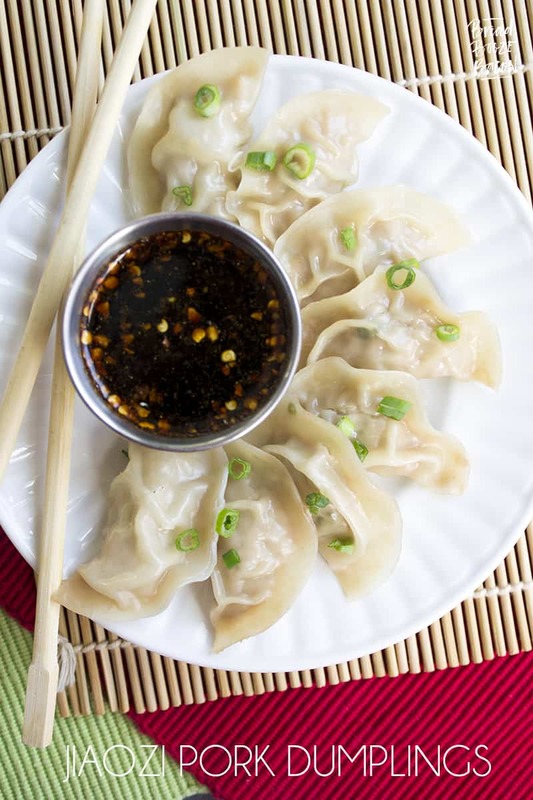 Repeat with the remaining wonton wrappers and filling - working with one dumpling at a time. Bring about 2-inches of water to a roaring simmer in a large pot. Place a vegetable steamer in the bottom of the pot, making sure the water is just below the bottom of the steamer. Place the dumplings side-by-side in the steamer, but not overlapping. Cover the pot and cook for 10 minutes. Uncover the pot and remove the dumplings to a serving plate. Repeat with remaining dumplings. 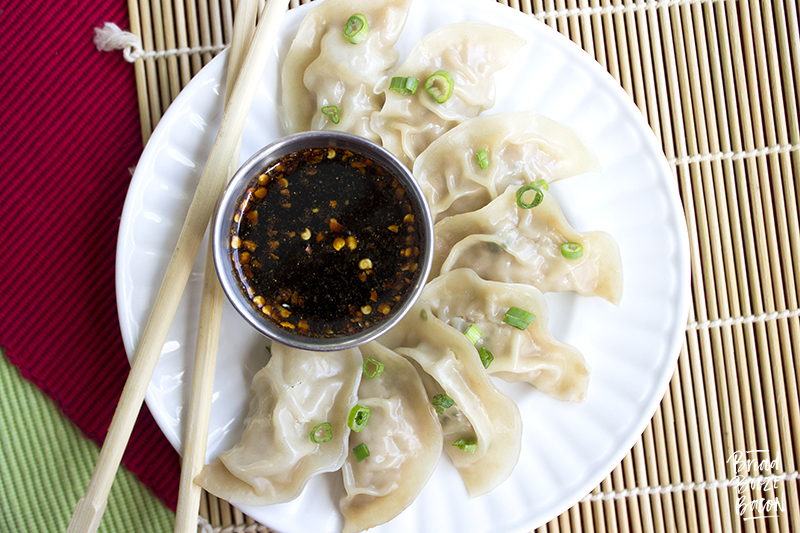 Sprinkle the cooked dumplings with green onion and serve with your favorite dipping sauce. I definitely recommend doubling this recipe! I cook half the day we make them, and then put the rest on a baking sheet in the freezer. Once frozen, the dumplings are transferred to a ziploc bag for storage. I usually fry the dumplings that are frozen (in hot oil until golden brown - about 3-4 minutes), but if you want to steam them - place as many dumplings as you want on a plate and thaw them in the fridge before steaming. Oh my word, this recipe looks incredible! I’ve actually never had dumplings, but my husband loves them! He would die over these. I’m not kidding – my eyes are watering at the deliciousness of these! YUM!!!!!!! 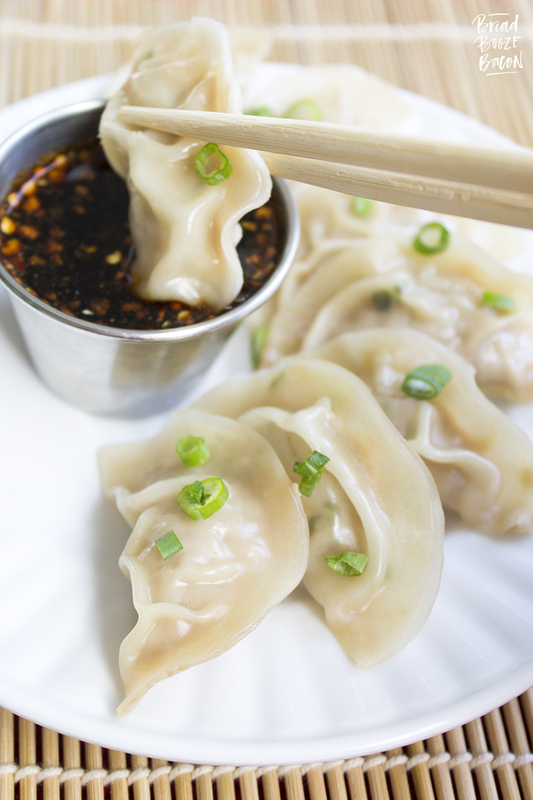 Chinese Dumplings are always my favourite part of eating out and I’ve always wanted to be able to make them! This looks delicious! Thank you!